Three years away from Formula One, but it seems as if Kimi Raikkonen never left F1. Those crisp one-liners and the brilliance behind the wheel – he has lost none of it. The ‘Iceman’ is the one of two drivers – the other being Red Bull’s Mark Webber – who hasn’t got a DNF (Did Not Finish) to his name this season. And more importantly, Kimi has quietly crept up to third in the drivers’ standing, and looks quite well entrenched in that spot. So, has F1 changed in any way during the time he was away? The Lotus driver doesn’t think much has changed. “I didn’t race for two seasons. Of course, there are some people in different uniforms, but you get that every year anyway! There are some additional buttons on the steering wheel, but that’s it. It was like I was never away,” Kimi told TOI, ahead of next Sunday’s Airtel Indian Grand Prix. The Finn brought home his Lotus in fifth place to notch up another fine result at last week’s Korean Grand Prix as his closest competitor, Lewis Hamilton of McLaren, struggled throughout the race. “I think fifth was about where we should have been. There were a couple of times where we were in a position to make up some places and, for different reasons, were not able to, but even so we didn’t quite have the speed to match the Red Bulls and Ferraris. I was pretty much on my own at the end of the race but we had to keep pushing to maintain position and it wasn’t so easy. I wouldn’t say it was a fantastic race but at the end of the day we still picked up points for the championship, so it wasn’t too bad,” the 2007 world champion analysed. Kimi might appear to be a laidback bloke in the paddock, but once he gets behind the wheel his champion instincts are at their peak. Does he still aspire hopes of another title? “There’s no point talking about the title until it’s been won. The gap to Sebastian (Vettel) is quite big now, so it will be very difficult to catch him, but we’ll keep pushing all the way,” the 33-year-old said. The former Ferrari and McLaren driver is an avid snowboarder and ice hockey player. In fact, ahead of his championship-winning season in 2007, instead of testing with Ferrari, he was off racing a snowmobile in Finland! The Buddh International Circuit (BIC) will be new territory for Kimi, but he’s not at all perturbed. “The best preparation for the race is getting out on track during the practice sessions. Some drivers like to use Playstation or simulators; I prefer to drive. So far I’ve learnt tracks after a few laps in FP1 (Free Practice) on Fridays. I didn’t have any problems learning the Yeongam circuit that way, and I don’t expect to have any issues here either,” he said. Watching his performance this year I do agree with him but we missed you Iceman ,two years were a looooong wait..
That´s true – I feel (already) You were never away:)…..and hope You´ll offer an excitement & pleasure for a long time! 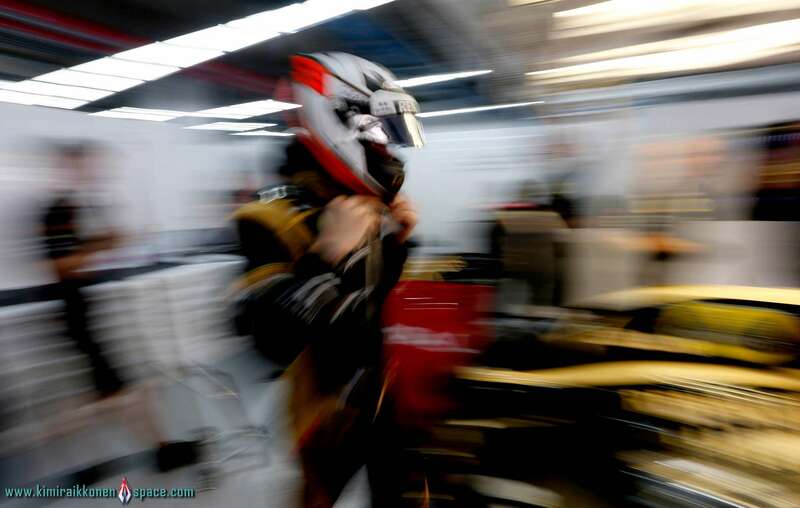 Keep going & good luck, Kimi – India´s weekend is coming!! Thank you very much, Saima. I agree with you guys about Kimi!